Frank Suárez-Román grew up in Puerto Rico where he studied tropical moss ecology at the University of Puerto Rico, Mayagüez. He pursued his first master’s in botany and plant pathology at Purdue University, West Lafayette, Indiana where he also served as student senator and judge at the Purdue Graduate Student Government. 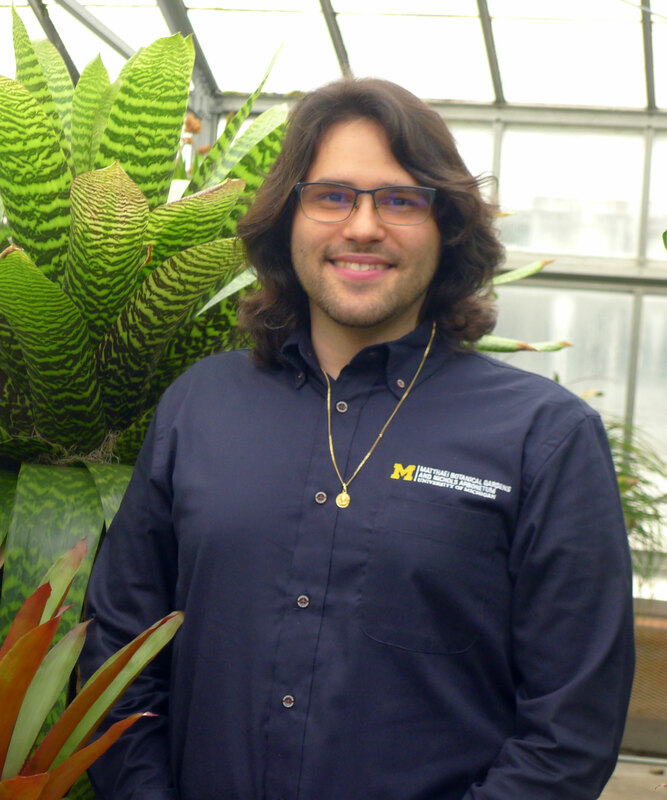 This experience led him to the University of Michigan where he completed his second master’s in higher-education diversity and social justice with practice in university development. He works with various community members in creating experiences that bring them together in their support of Matthaei-Nichols. He believes in the power of giving to positively impact our society and is passionate about educating on the interconnectedness of plants, humans, and philanthropy.